According to the Lancaster Online article the ceremony is to recognize the best in high school sports for Lancaster County. At the event special guest speaker, Hines Ward will address the audience after dinner and before the awards ceremony. At the event the top male and female athletes will appear on stage to be recognized for their achievements and to receive awards from local sponsors. 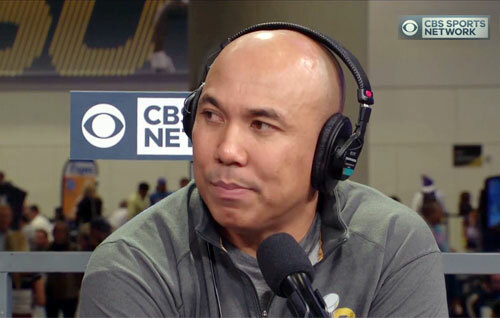 Hines Ward is a retired wide receiver who played fourteen seasons for the Pittsburgh Steelers. Ward played college football at the University of Georgia. The Pittsburgh Steelers chose him in the third round of the 1998 NFL Draft, and became the team’s all-time leader in receptions, receiving yardage and touchdown receptions. He is currently a studio analyst for NBC’s Football Night in America. Sports Speakers 360 is a booking agent for pro athletes. If you would like to book Hines Ward for a speaking engagement, appearance or endorsement, contact a Hines Ward booking agent for fees at 1.855.303.5450.